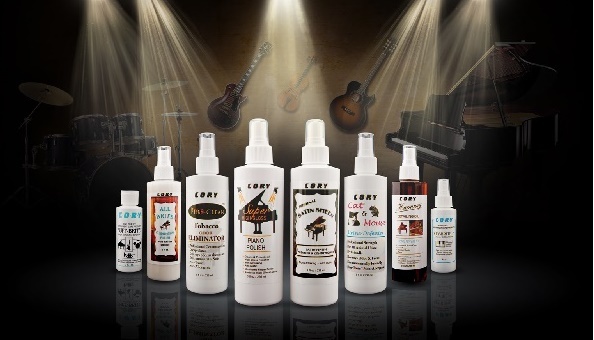 Cory Care Products offers an extensive line of fine cleaners and polishes for pianos, musical instruments, autos, and more. These products are specifically formulated and designed to clean, condition, protect, preserve, and shine the finish of your piano. the delicate finish of your piano. While furniture wax is designed to shine (permanently) and provide scratch and abrasion resistance to your furniture's surface, waxes adhere to most any surface - much like a barnacle to a ship's hull. Similarly, furniture oils also build up, streaking a piano's finish, after a furniture polish has been applied. Window cleaning products (e.g Windex, Clorox, etc.) 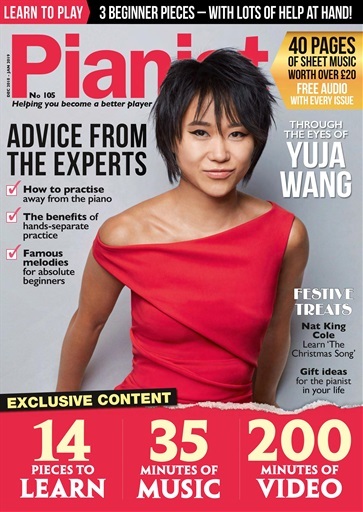 contain alcohol, ammonium hydroxide, solvents and other harmful chemicals which can significantly break down a piano's finish (Satin, open pore wood, etc.) and protective outer coatings (Polyester). The end result? From the buildup of waxes, and the breakdown in a piano's finish, results in prematurely hiring the services of a professional refinisher, to remove and restore the months and years of buildup and breakdown. 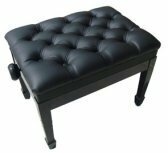 Cory Care Products are the perfect fit for the bill, graciously and thankfully, to the assistance of the astute piano owner. 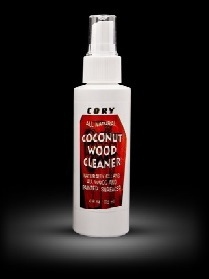 This author's favorite, and most recommended to my clients, is Cory Care's Coconut Wood Cleaner. This versatile cleaner acts as both a cleaner and a polish. It is tough, yet gentle, on most wood surfaces: painted, sealed, and finished. This cleaner is derived from real coconut, and helps to prepare and pave the way to polishing and preserving a piano's finish, before "it's finished" for good. Coconut Wood Cleaner can be used on pianos, furniture, cabinets, painted walls, paneling, leather, office equipment, door jams, computers, carpets, and appliances. Coconut Wood cleaner is intended to be used as a pre-cleaner, to initially abolish grime, wax, and other residue and build up, before applying Cory wood polishes and wood conditioners. 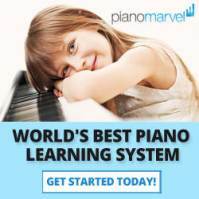 After Coconut Wood Cleaner has been applied to the pianos surface, depending on your piano's finish - that being one of Satin, polyester, or a painted / open pore surface - one of two other products can be applied. 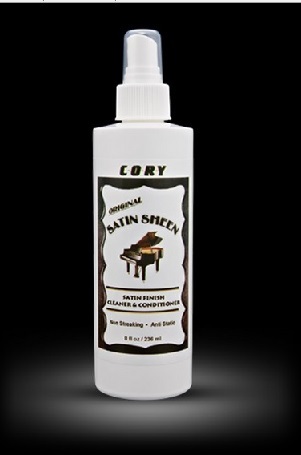 For Satin, flat wood / open-pore, and painted surfaces, Cory Care All-Brite Wood Conditioner and Polish is the best solution to condition and polish your piano's fine wood surface. All-Brite Conditioning and Polish helps to preserve fine wood finishes, from the effects of drying and cracking, while adding a beautiful luster to behold. No buffing or hard wiping required. Simply spray it on, and wipe into the piano's finish. 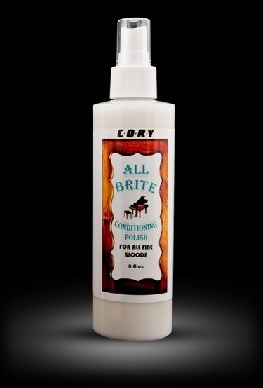 All-Brite may be used on all satin, lacquer, shellac, and open pore woods. Before moving on to pianos with a hard polyester surface, a 3rd and last step helps to easily maintain your piano's satin finish. Designed for a piano's delicate and beautiful satin finish (shiny, but not mirror like), Satin Sheen helps t0 remove fingerprints, smudges, and worst of all, grime. 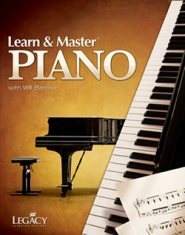 Best applied after Step 1: Coconut Wood Cleaner, and Step 2: All-Brite Wood Conditioner and Polish, which is a moisture enriching formula designed to condition the wood's surface, Step 3: Satin Sheen is the final step to maintaining your piano's satin finish. Satin Sheen can also be used on polyester (hard) and lacquer (soft) finishes. Use regularly to protect against fingerprints, oils, and static. Since Cory Care Products can be sprayed onto a cloth or a piece, first, before wiping, for the best results with Satin Sheen, [1st] spray on cloth, then [2nd] applying to piano's finish, rubbing in direction of the grain evenly. 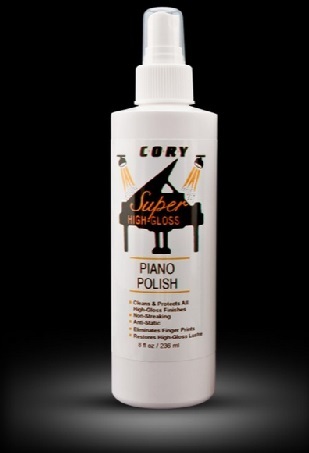 For polyester finishes, which has a shiny, hard, sealed, and mirror like surface, your piano would benefit from Cory Care's Super High-Gloss Polish. Designed specifically for polyester, high gloss piano finishes, this is the easiest polish to use, to clean and protect your piano's shiny finish. Formulated for high-gloss polyester, polyurethane, and lacquer finishes, this piano polish was designed to be used in one easy step. Use as often as desired. Super High-Gloss Polish eliminates oils, fingerprints, smudging, and static which attracts dust onto your piano. A special UV shield protection is built in, which helps prevent fading and surface deterioration to your piano's finish. Designed to be used with the Cory Polisher Cloth. 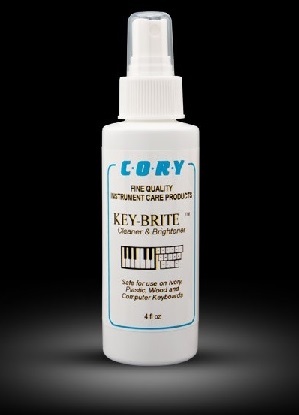 Key-Brite is a water based piano key cleaner, which brightens, cleans, and preserves all plastic, ivory, ivorite, wood instrument, and computer keyboard keys. Use Key-Brite as often as necessary: to clean your piano's keys after each use, after teaching students, or after guests use your piano. Key-Brite easily dissolves the wax build-up on piano sharps, and cleans away oils, dirt, grime, and other build up on a piano's keys. Both naturals and sharps are left feeling smooth, and looking bright. Key-Brite is simple to use. Just hold the bottle 6" to 8" inches from the keys' surface,  spray, and  wipe clean along the full length of the key. No need to worry about any excess falling into the key's slots, or onto the bottom of the keybed. The solution will eventually evaporate. But if you wish, you may spray Key-Brite directly onto a clean cloth, for added extra peace of mind. Key-Brite leaves a great "feel" and beautiful sheen to a piano's keys.